Joseph Schooling of Singapore has made history after beating his idol, Michael Phelps, the most decorated Olympian of all time, in the 100-meter butterfly event in the 2016 Rio Olympics. His surprise victory has earned the first Olympic gold medal for Singapore. Schooling, 21, beat Phelps by 3 quarters of a second setting a record with a time of 50.39 seconds. Phelps, who now owns 26 Olympic medals of which 22 are gold, finished second along with Chad le Clos of South Africa and Laszlo Cseh of Hungary with a time of 51.14 seconds. 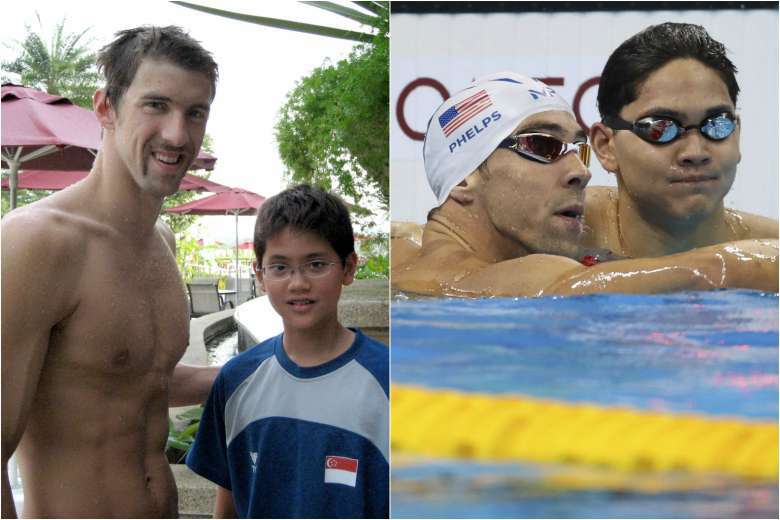 Back in 2008, a young Schooling had his photograph taken with Phelps at the Beijing Olympics. Eight years later, the gold medalist couldn’t believe he was actually competing with the Olympic legend. “As a kid I wanted to be like him. It’s crazy to think of what happens in eight years,” Schooling said. “A lot of this is because of Michael. He’s the reason I wanted to be a better swimmer,” he added. During the London Olympics in 2012, the once star-struck teenager was comforted by Phelps after his equipment was deemed to not fit Olympics regulations less than 10 minutes prior to the race. He also clocked a poor timing at that race. "I told him what happened and he hugged me and said, 'you're only so young, you still have a long way to go. It's a learning experience so keep your head high and just keep moving on’,” Schooling said during a 2012 ESPN documentary. Although Phelps is Schooling’s idol, he said he wants to make his own career. "I don't think I've ever daydreamed about Michael Phelps' career - but as far as his accomplishments go, I think everyone would love to have 14 gold medals at the Olympics, and I think over 20 golds at the world championships," Schooling added.